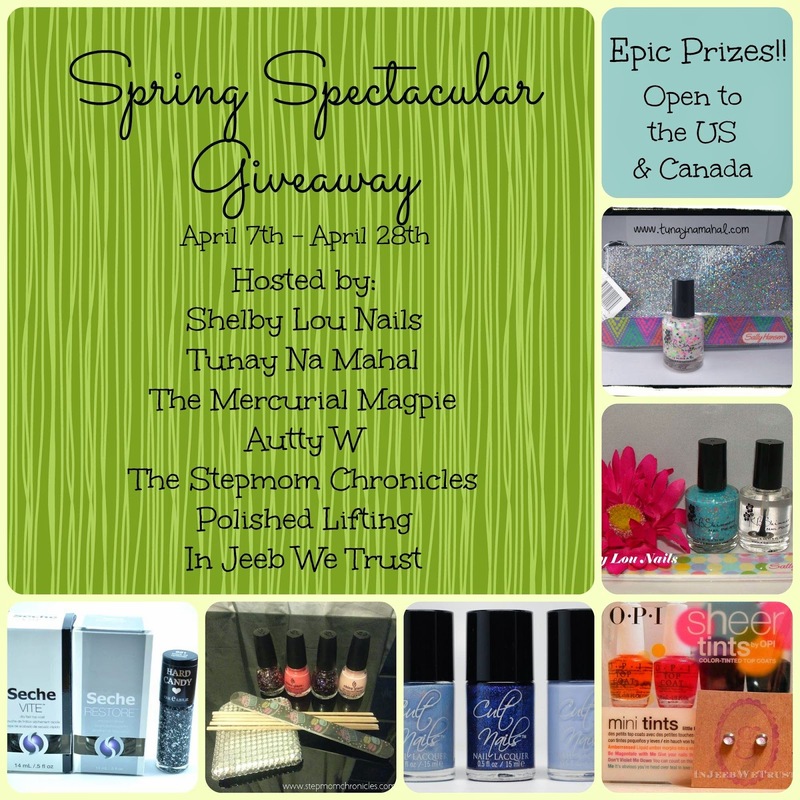 I've teamed up with a group of six other wonderful polish bloggers so that we could bring you this giveaway. There are six prize packs in total, five of which are US only and one which is Canada only. You must be 18 or older to enter. We have the right to request proof of age if it seems appropriate. No following and unfollowing once the giveaway ends. Unfollowers will be banned from future giveaways. We all worked hard to supply these prizes. Winners will have 48 hours to claim their prize from the moment the email is sent. If the prizes go unclaimed a new winner will be chosen. I love reading nail blogs! KB Shimmer. Thank you for the giveaway! These all look awesome but Shelby Lou Nails's KB Shimmer is spectacular. He Picked My Polish Again!